The 2018 WORLD pendant symbolizes a world united with love. Inspired by Women and the traditional Greek “gouri” meaning good fortune. Worn alone on a short fine chain or layered on a long Links chain, it tells this chapter of your legacy. 1.5 inches in diameter: fine sterling silver with 7 responsibly sourced diamonds. 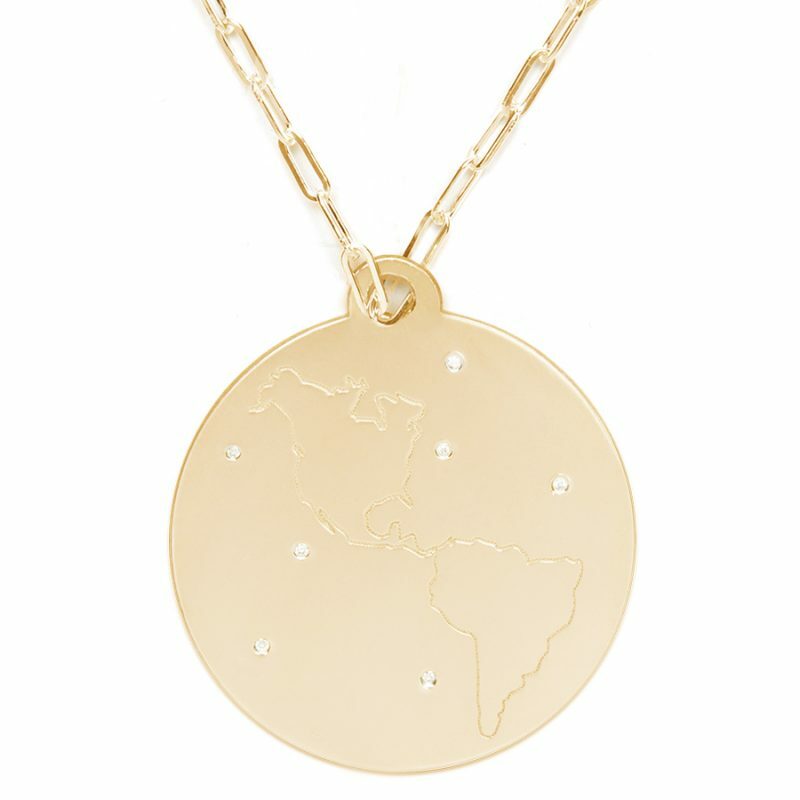 1 inch in diameter: 18k gold with 3 responsibly sourced diamonds. 1.5 inches in diameter: 18k gold with 7 responsibly sourced diamonds – price upon request. Custom options available. Links Chain sold separately. 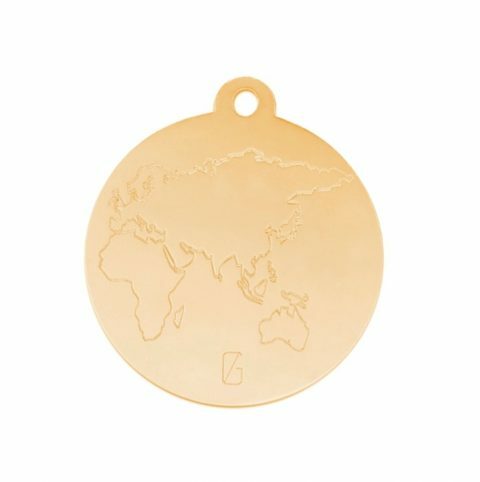 Tags: #gold, diamond, globe, love gold, ornament, world, worldpendant, #diamonds.